You can give an order immediately from our Order Page. Installation and delivery in 3 minutes. 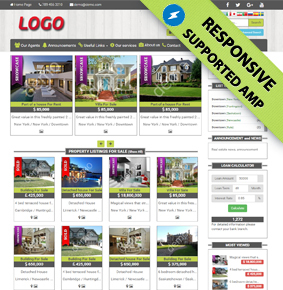 propertywebsitebuilder.com; it is a professional real estate website software and real estate web solutions system which provides to create real estate website in quick and easy way to everyone who want to build real estate website, to establish their own institutional real estate site without paying high prices to portals which are known at the sector and want to enlarge their brand value. You do not require to have any technical information. You can get your site's installation done to a new domain address or your exist domain address. 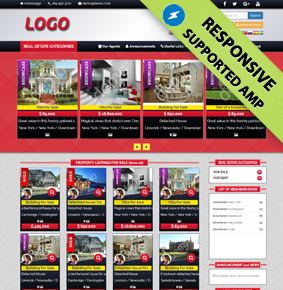 propertywebsitebuilder.com's real estate site pack advantages by private web page software; you do not work away processes to develop design and software in long term and you do not have to pay software cost white high prices. 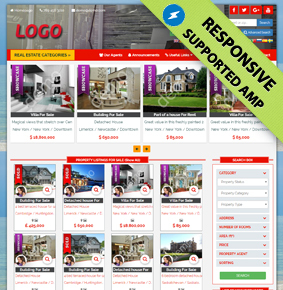 Only, you can go on using as paying annual - chosen real estate website pack ' s price. So you can get a professional real estate web site which develops constantly by annual publication cost and you will have rescued from paying cost of software price. Do not forget how long design and software stages take, that many errors reveal and that there is high-cost due to longest of process while forming a normal real estate site or making real estate script arrangement. Our systems are constantly renewed as software infrastructure and new themes are added by technological developments. Whenever you want , you can transfer your site to a new theme without any charge whenever you want to do. There will not be any data loss during transfer stage. So you will have a site which is advanced to last technologies without paying any new software price. Best real estate website designer..
You can choose whatever you want from the site ' s templates which are designed as modern - configuration current technologies are used. Whenever you want , you can pass to a different template without any charge. In the case that theme which you choose is mobile - compatible, your users can use web-site on all devices as mobile - compatible. You can share advertising on social media and you can attract much more visitors to your site. It provides more comfortable view opportunity as showing photos with wide angle that you upload them. You can search advertising with much more criteria and filter options. High level Seo and structural data marking technologies are used especially on our recent themes as they can change depending on theme that you choose it. It provides an advanced interface in Turkish to you in order that you can manage your real estate site and your advertising. You can upload more than one picture in very easy and quick way at once. System will add large-scale pictures to site as it sizes them itself. You can make much more presentation after you add video to your advertising that you prepare for your landed properties on youtube.com. You can show place of your advertising on map via map marking option. You can give a management panel and provide portfolio management to employees who work in your company as opening a user for them. You can provide that your customers get information about your events as adding notice to your site. You can show notices at top-side of your site to attract attention as making showcase notice. It provides you to find notice easily by search box on your site as writing either word or notice number. Rates are shown on your site as they are updated automatically. Your customers can send real property that they search , to you via real estate demand form. You can get free - support sergide by e-mail when you have got any problem. It provides opportunity to you in order to use institutional e-mail accounts which have got extension of your real estate site. You can make easy to follow your notice as adding secret information to your notice only which you can see them. You can provide that your notices are easily found on search engines as making explaining titles for your real estate notices. You can easily copy your advertising which have got same features with advertising copying's features after changing their features. You can follow from your panel about many statistics such as how many persons enter into your site, how many pages he/she surfs , from which city he/she enters, which search terms she/he uses to find you etc. It provides you that your real estate site is viewed and used in different languages. This service uses infrastructure of Google Translate. You can find your notices depending on theme in easier way as making visual search on map. It is automatically added on your notice photos as your site ' s address or different letter, watermark. You can add Sold, Hired or Showcase Band on picture for a real property that you sell or hire it. If you register your domain name through our systems, you can demand transfer code from us in the process that you get service. Modifying color can be made without any charge on your sites by your demand in the case that it is appropriate for your theme.